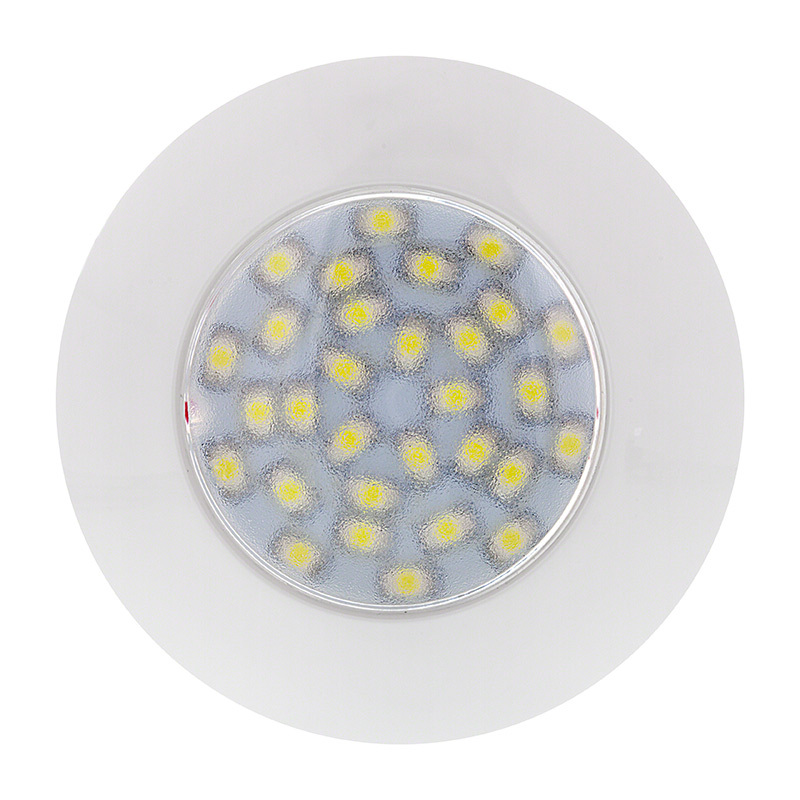 This round weatherproof LED dome light fixture features a polycarbonate frosted lens and fully potted circuit board that is water and corrosion resistant. 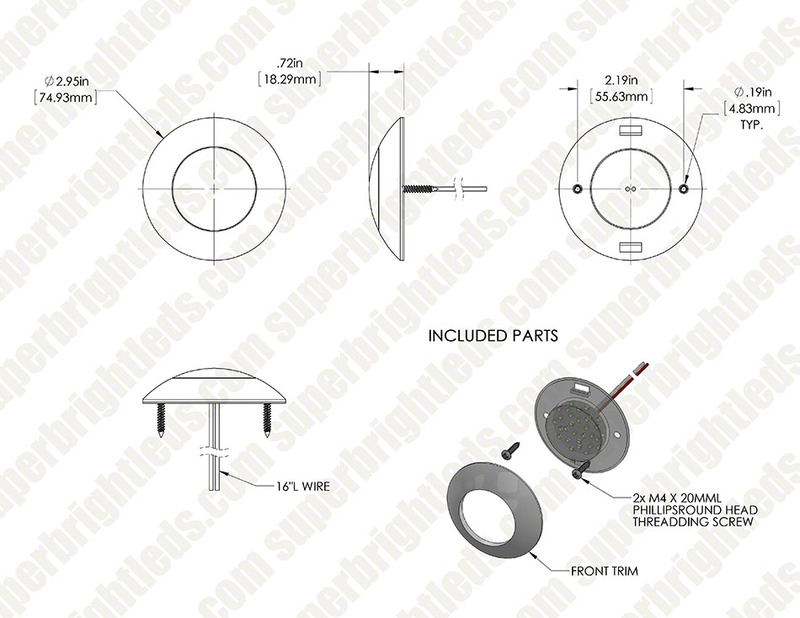 The light surface mounts using 2 screw holes and attached 16” power wires. 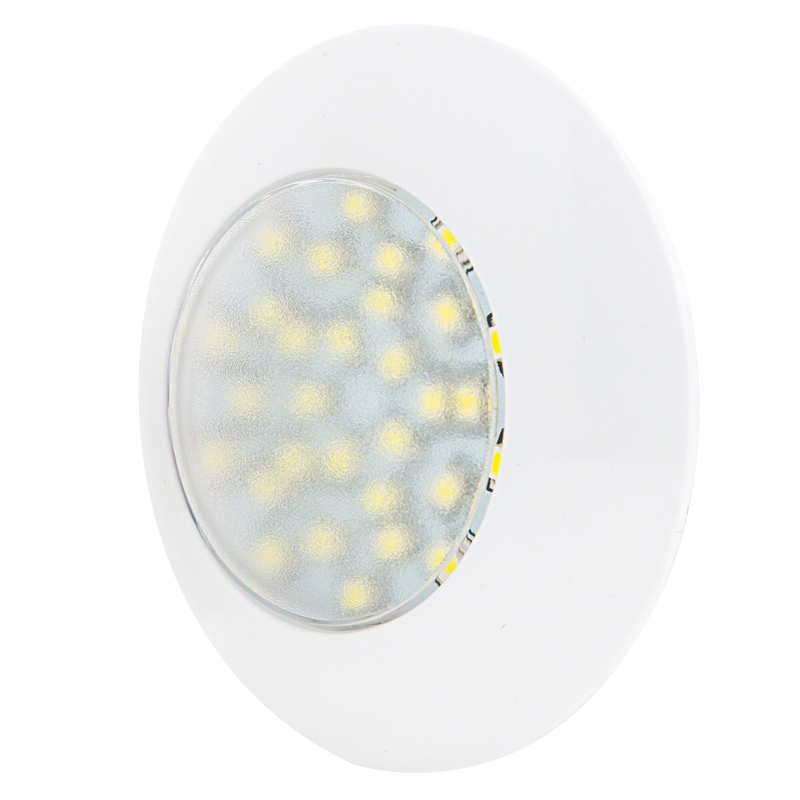 Each light boasts 30 cool white 3528 LEDs and operates at 12V DC. 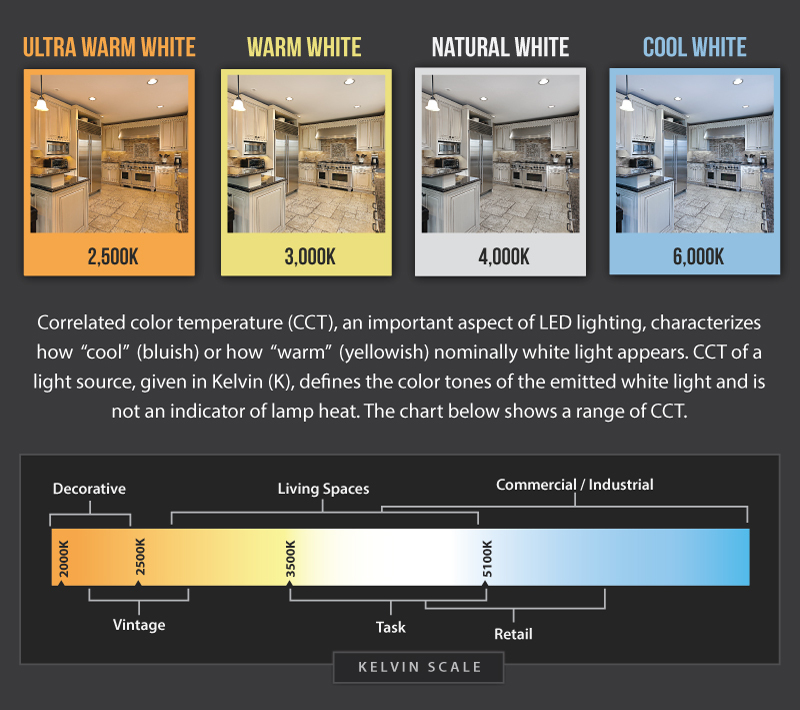 Price per each. 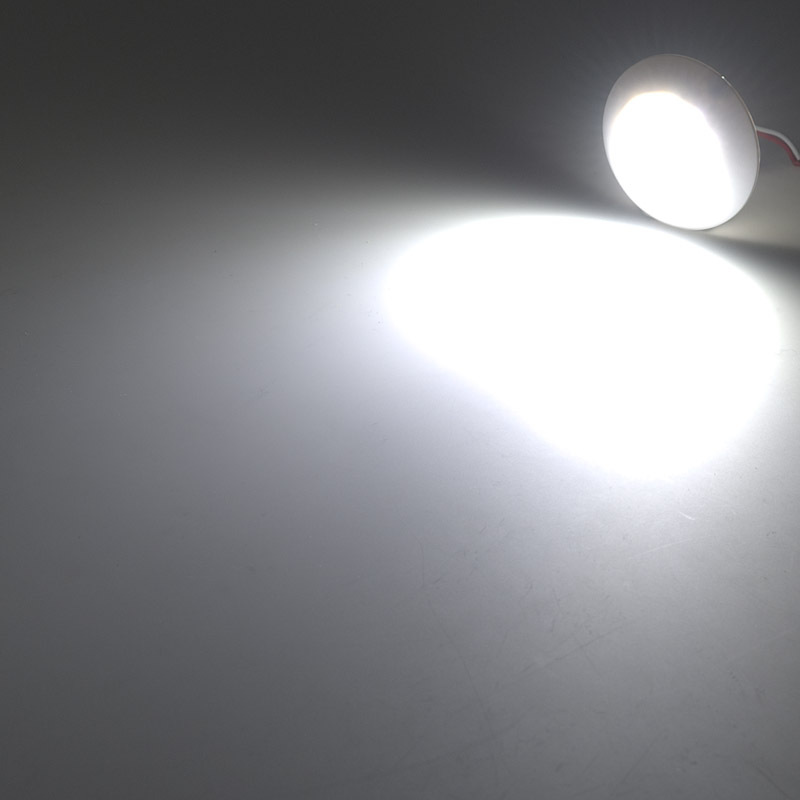 This little light puts out big light,Great for small places where light is needed. 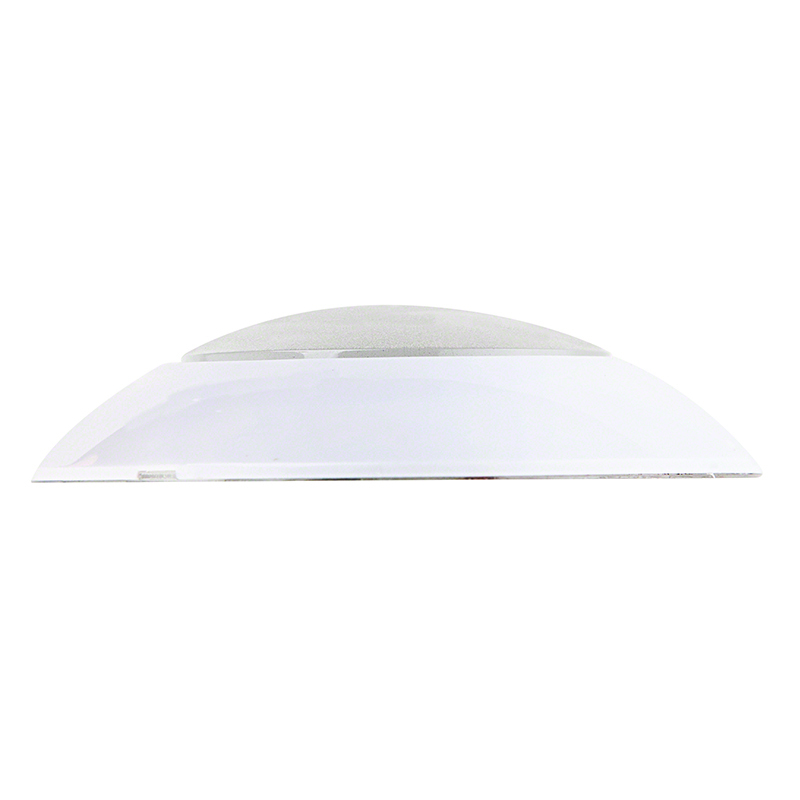 Dome Light Used as Foot Light for a Car Door. 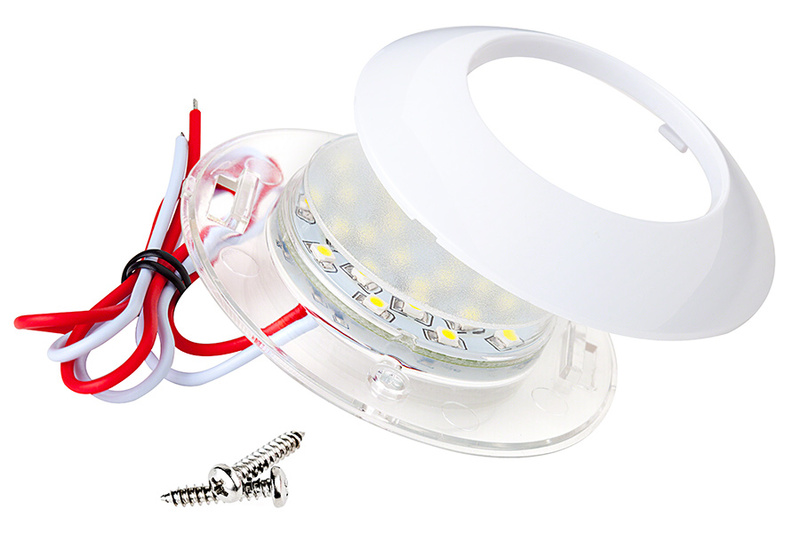 I installed two of these LED dome lights in my sedan right in the middle of vertical walls interior and near the edge of the rear doors and about midway from floor to knee-height, so that they provides additional light when needed (but without disturbing the original dome light, like that of most cars.) 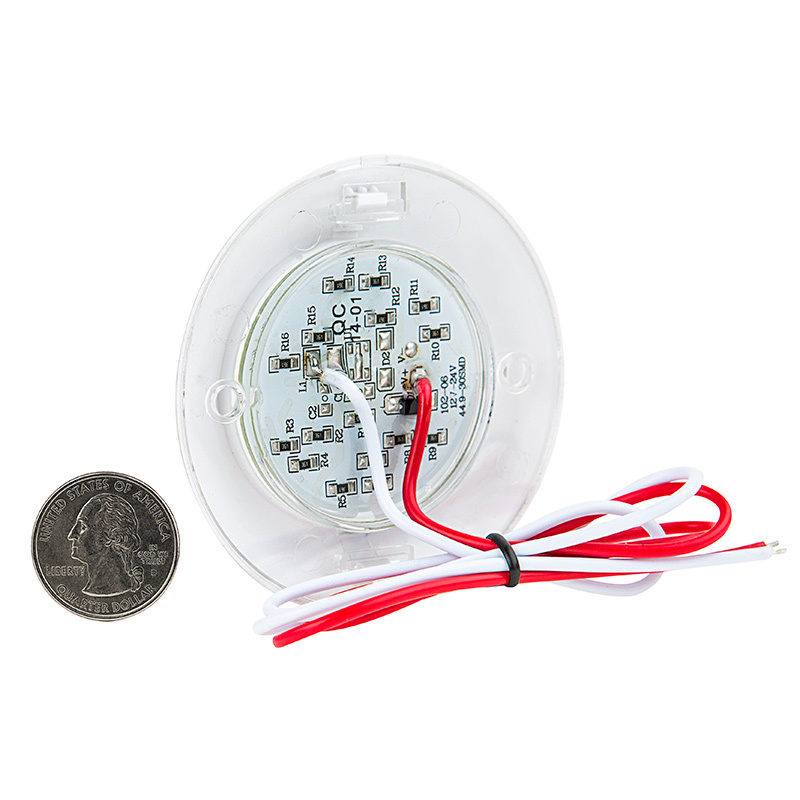 The only wish I have for these dome lights is that they would shrink it to a smaller size of less than 3 inches but still as effectively bright, and its diameter not larger than the width of three U.S. quarters (3 coins), and the height also do not exceed 3/4 inch. 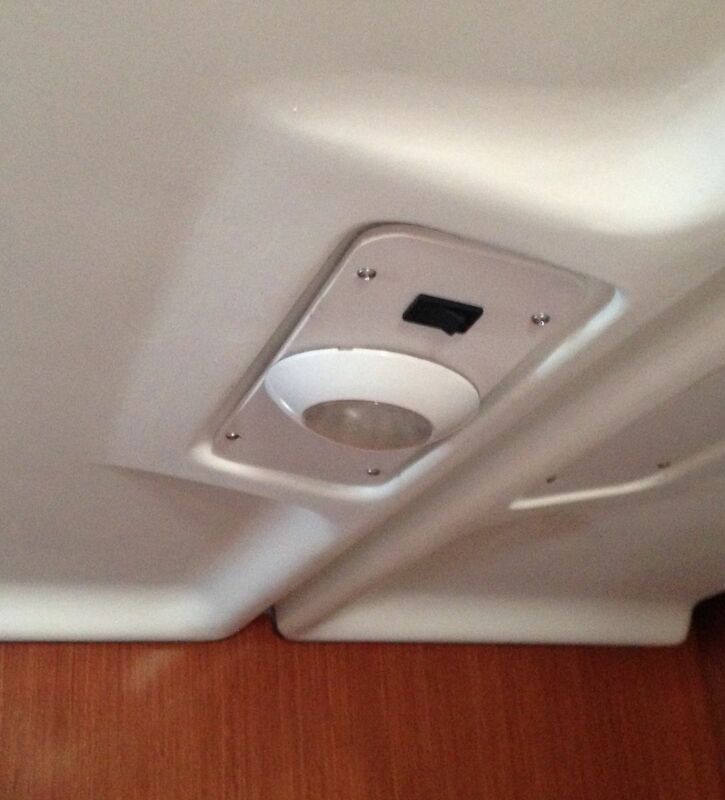 This light was just what I needed to replace a down hanging reading light in a tight sleeping cabin on my boat. 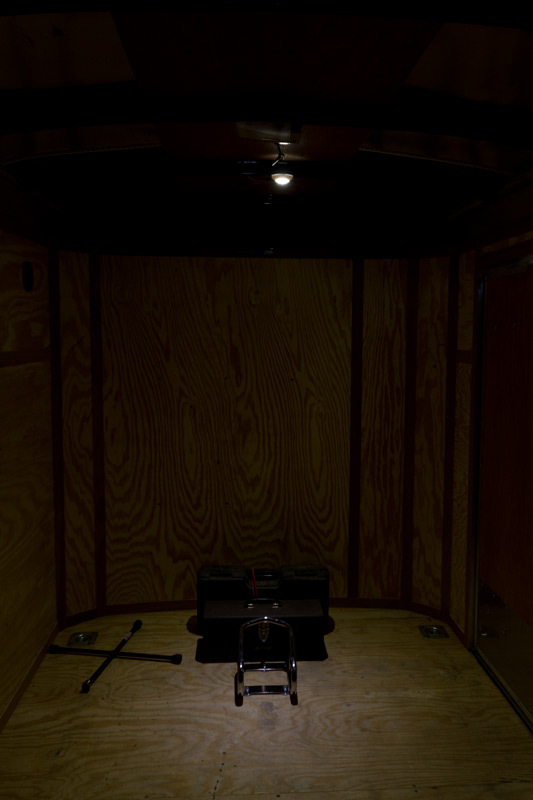 This low profile lamp, coupled with a rocker switch, looks factory installed and makes for safer movement in and around the cabin; all the while providing more light with considerably less power usage.